My other passion after baking is travelling. 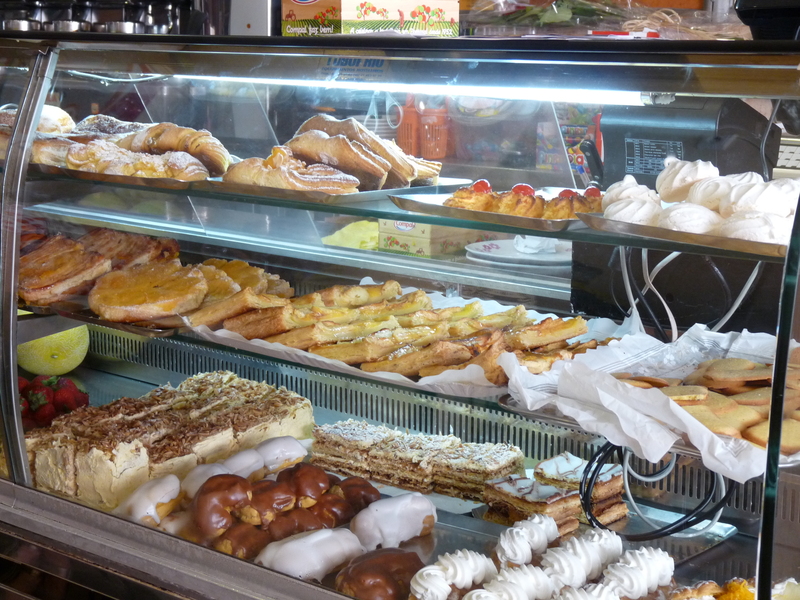 I spent last week in Lisbon and had the pleasure to discover a lot of pastries in display in the pastelarias which are the pastry shops in Portugal. All I can tell is that the pastries were so big that even I, who is a foodie, had trouble to finish them. They actually tasted as pastries done homemade by your grand mother. We had a coffee break and like the Portuguese people do, we ask for uma bica with pasteis de nata. This is a typical coffee break. 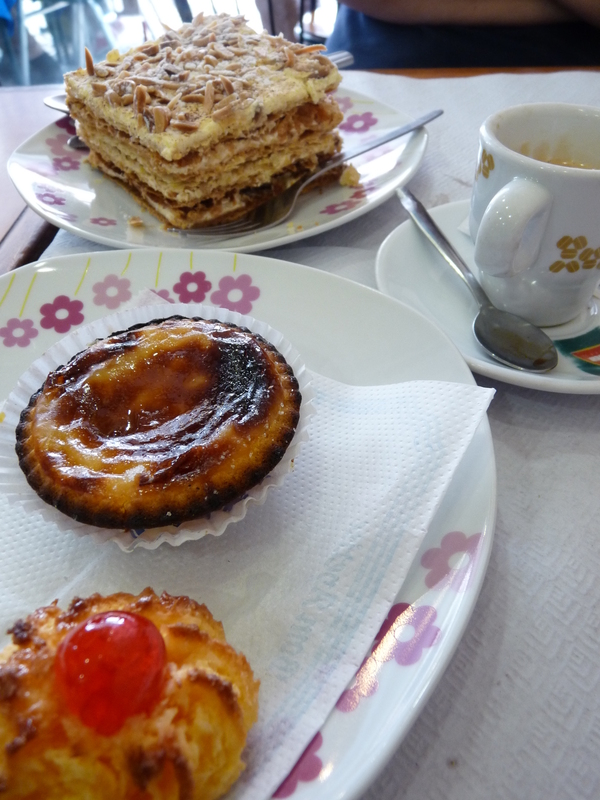 The uma bica is actually an espresso and the pasteis de nata is a small custard pie. On the picture below the pasteis de nata is in the middle. I actually really liked the Portuguese gastronomy made with a lot of sea food. It is really easy to find nice restaurants. The good tip is to avoid going in tourist trap restaurants, I mean going where servers are asking you to come in their restaurant and they already have menus in every languages. It is much better to go in the small places where local people go so you are sure your food will be typical, good and cheap. Portuguese people are easy going and welcoming so you will have a great time!